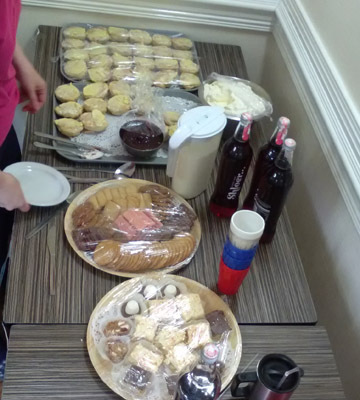 Father’s Day Tea Party at Drummaul House Anyone? Why Not! 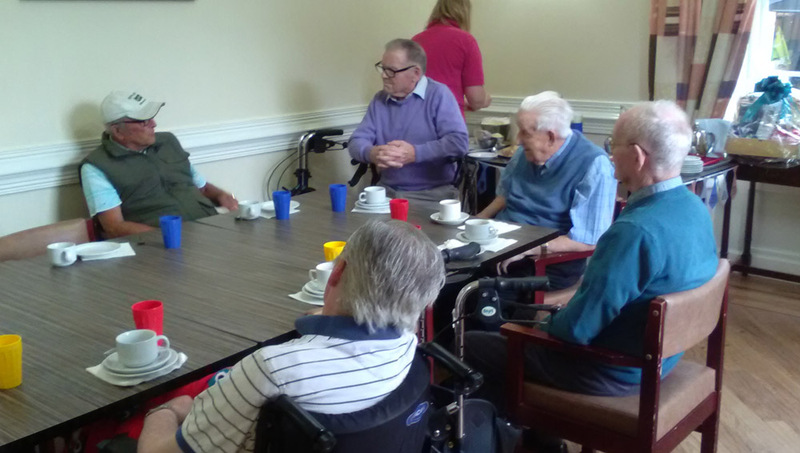 We promised our men a special fuss on Father’s Day as they made a fuss when we spoilt our ladies on Mother’s Day. So fair’s fair…here’s the men enjoying their very own tea party – after all who doesn’t love tea and scones with jam and cream ? 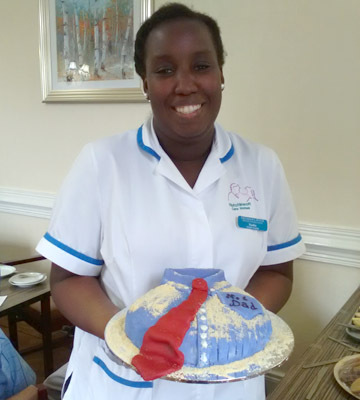 Nurse Nadia made a very special cake for our gents and everyone had a smile on their face.